Cloth Diapers! 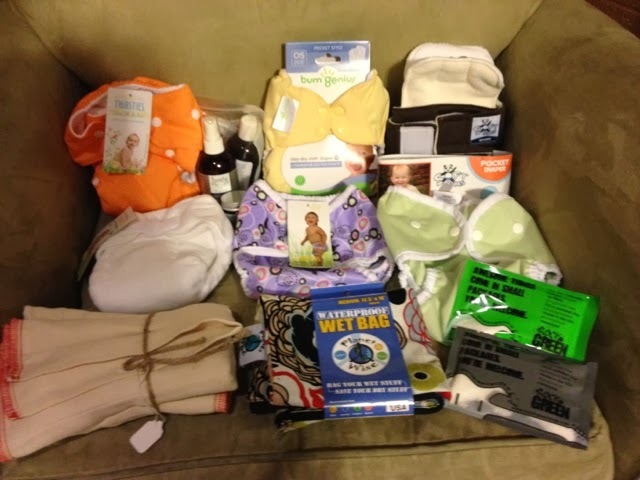 If you have not read about our new cloth diapering adventure check it our here or here. We are pumped! Feel free to be in touch! Have you heard about Zycon for buying chicken? Local hormone free chicken at a good price? Who knew? I won a give away! I won a $25 credit to Stuck on You on Shelby's blog! I am kind of excited because I think I can use this to purchase some things for BD's first birthday to continue to keep the cost down! 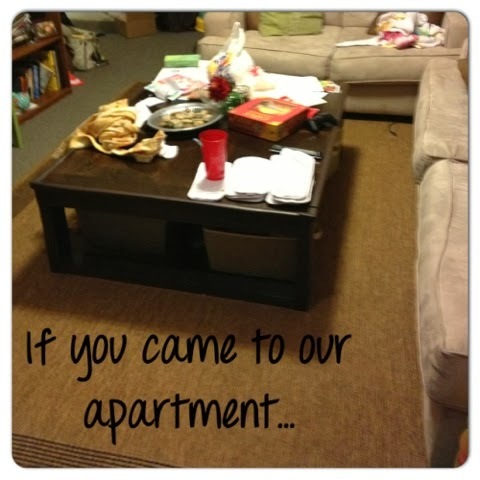 We had 2 snow days this week… but a lack of snow. 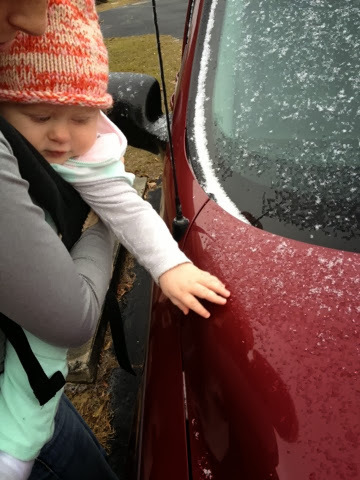 Here is BD's first experience with snow… I guess it counts!